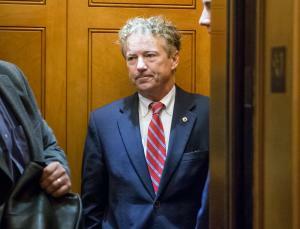 Jan. 19 (UPI) — A Kentucky man accused of tackling and injuring Sen. Rand Paul, R-Ky., faces federal assault charges, the Department of Justice announced Friday. The U.S. Attorney’s Office for the Southern District of Indiana charged Rene Boucher, 58, with assaulting a member of Congress resulting in personal injury. Paul sustained six broken ribs and pleural effusion — fluid around the lungs — Nov. 3 when Boucher allegedly attacked him outside his home.